This is a Christmas book, but don’t let that fool you. It’s not The Christmas Box, no happy-go-lucky aw-shucks Christmas story here. It’s Battle School. Which means it gets ugly. Very bad things happen to people. 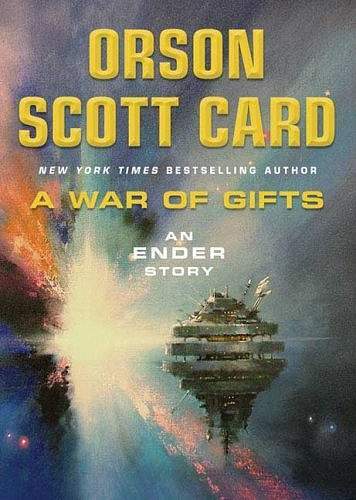 Which means it’s Orson Scott Card at his best. Ender fans (ie. people like me) cannot, should not miss this one. One of the best opening chapters of Card’s I’ve read in a while. Go. Buy. Give to a friend. It’s wonderful. Oh, and did I mention it has Ender in it?